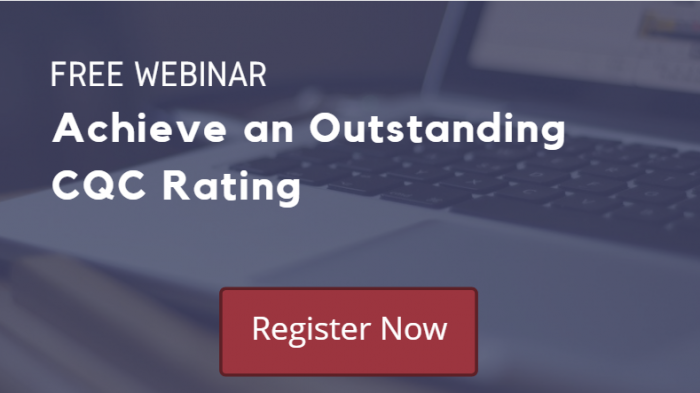 Have you registered for our webinar Achieving an Outstanding CQC Rating? Join us for practical tips on demonstrating continuous improvement in the care home. We will be exploring ways that care homes can enhance quality of life as well as quality of care for residents. Common themes shared by services rated Outstanding. Complying with the five key areas assessed by the CQC. Is your home Safe, Effective, Caring, Responsive and Well Led? Claire Bailey is the presenter of Achieving an Outstanding CQC Rating. Claire is a Registered Nurse and Clinical Operations Manager at AutumnCare. She has previously worked as a carer as well as a Care Home Manager. Claire has 15 years of experience in delivering quality care in elderly residential services. In this webinar, she shares her learnings and experiences. Register now to attend our free CQC webinar.